"The thumbprint . 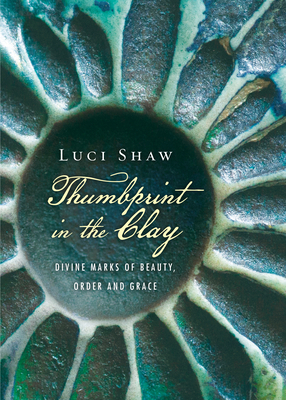 . . is for me a singular clue to human identity. . . . Just as each human thumbprint is unique, its pattern inscribed on the work of our hands and minds, the Creator's is even more so--the original thumbprints on the universe," declares poet Luci Shaw. We worship an endlessly creative God whose thumbprints are reflected everywhere we look--in sunsets, mountains, ocean waves--and in the invisible rhythms that shape our lives, such as the movement of planets around the sun. And this creative and ever-creating God has also left indelible thumbprints on us. We reflect God's imprint most clearly, perhaps, in our own creating and appreciation for beauty. A longing for beauty is inherent to being human. We don't create things that are purely practical; we desire them to be aesthetically pleasing as well. Beauty is also powerful, in its redemptiveness, generosity, inspiration. In reflecting on the role of beauty in our lives, Luci Shaw writes, "Beauty is Love taking form in human lives and the works of their hands." So come, join Luci Shaw as she ponders through the beauty of poetry and prose the places, sometimes unexpected, where she encounters God's fingerprints, and let it help you learn to see them in your life as well.